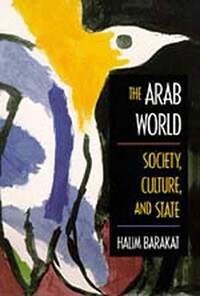 One of many books on the "Arab world." From Western offence to Islamic offence: Muslim relations with Christians divide into four long periods: from Muhammad's hijra to the First Crusade, 622-1099, during which time Muslims expanded at Christian expense; to the 2nd siege of Vienna, 1099-1683, which saw a mix of Muslim advances (e.g., Anatolia) and retreats (Iberia); to the Arab oil boycott, 1683-1973, with Christians on the offense; and since 1973, with Muslims on the offense. When I entered the Middle East and Islam field in 1969, Americans looked almost exclusively at the Western impact on modern Muslims; today, the Muslim impact on the West features almost as prominently, from American slavery to the problems of Malmö, Sweden. From Arab to Muslim: Books on "The Arabs," "the Arab world," "Arab politics," "Arab nationalism," and "Arab socialism" flew off the press during my student years. With time, however, the hollowness of this modern concept of Arabs became evident. I was one of those who argued for Islam as the real defining factor, devoting myself thirty years ago to proving that "Islam profoundly shapes the political attitudes of Muslims." Met with skepticism back then, this understanding has now become so blindingly self-evident that Amazon.com lists no fewer than 3,077 items in English on jihad. From critical to apologetic writing: Little did I know, but by taking up Islamic history when I did meant slipping in before the deluge of revisionism. Back in 1969, scholars respected Islamic civilization while usually (but not always) maintaining a proudly Western outlook. Symbolic of old-fashioned learning, my first Middle East history professor assigned us Julius Wellhausen's study, Das arabische Reich und sein Sturz (in English translation to be sure), published in 1902. 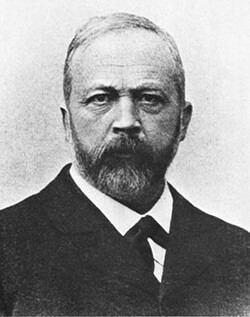 The old guard: Julius Wellhausen (1844-1918), author of my assigned reading on the Umayyad Dynasty. Then came the revolution. Martin Kramer ascribes the changes in Middle East studies to the publication of Orientalism by Edward Said in 1978; I see it more resulting from the sharp leftward turn of universities. Whatever the cause, the field descended into revisionist, apologetic, jargon-laden, error-prone Third-Worldism. The old masters dropped out of syllabi. The Hartford Seminary rapidly "turned from being the premier Protestant seminary for missions to the Muslim world into an institution promoting Islamization." The academic understanding of jihad epitomizes this transformation: in a single generation, jihad went from being interpreted as aggressive warfare to moral self-improvement. Academics took their biased and shoddy work into government. 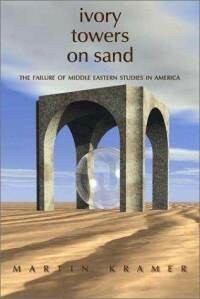 Academic work has sometimes become a near-parody of itself, with specialists proving such absurdities as: ancient Israeli history is a creation of modern Zionist propaganda, the Islamist movement already failed by 1992, water imperatives drive the Arab-Israeli conflict, and homosexuals do not exist in the Middle East. As maudlin obituaries to Said suggest, many specialists remain in his malign thrall. From public indifference to engagement: The Middle East was politically prominent well before 2001 thanks to cold war tensions, oil exports, the Arab-Israeli conflict, and the Iranian revolution. But American popular interest in the region remained modest until 9/11 and the subsequent Afghan and Iraqi wars. That surge of interest led to a wide awareness about the inadequacy of academic work. With the help of sophisticated critiques like Kramer's, plus organizations like Campus Watch, the public has become actively involved in opposing radical Middle East specialists, for example through activism to deny them tenure. One finds no parallel in other fields. Martin Kramer subjected Middle East studies to its first sustained critique in 2001. From trendy to retro: Another response to this failure consists of authors – often from outside the academy – harking back to pre-1980 scholarship to understand the region. Ibn Warraq, a pseudonymous ex-Muslim, published a sequence of books on the life of Muhammad, the origins of the Koran, its variants, and meaning, all of them premised on generations-old writings. Andrew Bostom, a medical researcher, anthologized significant portions of pre-1980 scholarship on jihad and antisemitism. Historian Efraim Karsh wrote Islamic Imperialism, which argues that Islam's expansionist tendencies have driven the religion since Muhammad's wars. These old-fashioned books are yet few in number compared to the cascade of revisionism, but they mark a revival of ideas and themes that once appeared moribund. Their appearance, along with public engagement and the emerging presence of promising new scholars, signals that – almost uniquely in the humanities – a sound understanding of the Middle East and Islam may rebound.